Scenes from the ninth annual KuroNekoCon this past weekend. Donning capes and brightly colored wigs, breaking out the leather, plastic and tools, fans of anime, comic books and fantastical things took over the Spokane Convention Center for the ninth annual KuroNekoCon this past weekend. Balance is key in fencing. 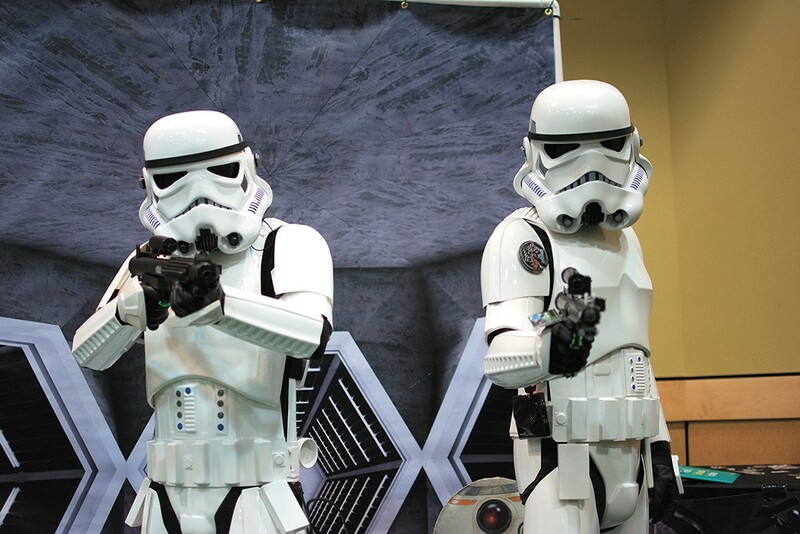 The Japanese and Asian culture convention brings out thousands of people each year for a weekend of anime, cosplay, gaming and fun activities, and this year was no exception, with the halls filled with heroes, villains and characters on July 29 and 30. Vision is key when wearing metal bars across one's face. Those who went could witness traditional Japanese dance, participate in gaming tournaments, and attend panels where they could learn about the real story behind well-known fairy tales, how to make a visual novel, or even how to belly dance. 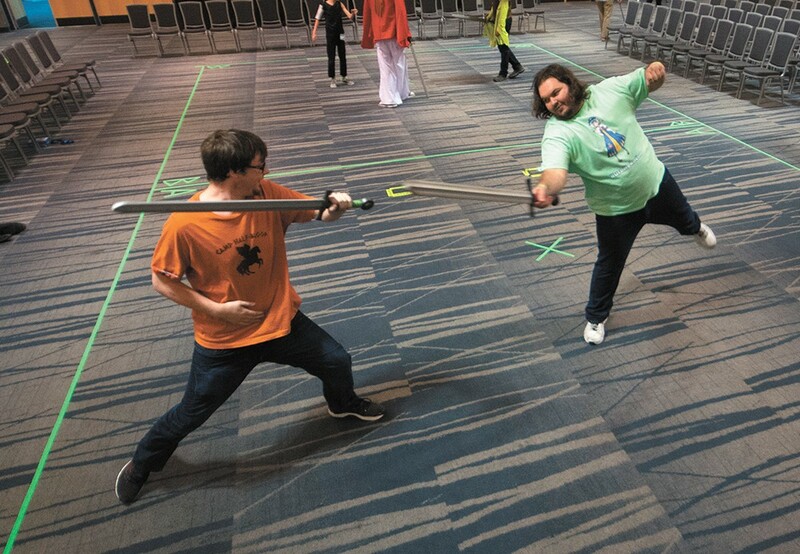 Between trivia and discussions on which types of anime they might not want to watch with their parents, attendees might also have stumbled on Deadpool or Pikachu singing karaoke nearby, or rounded a corner to find an intense sword battle taking place. 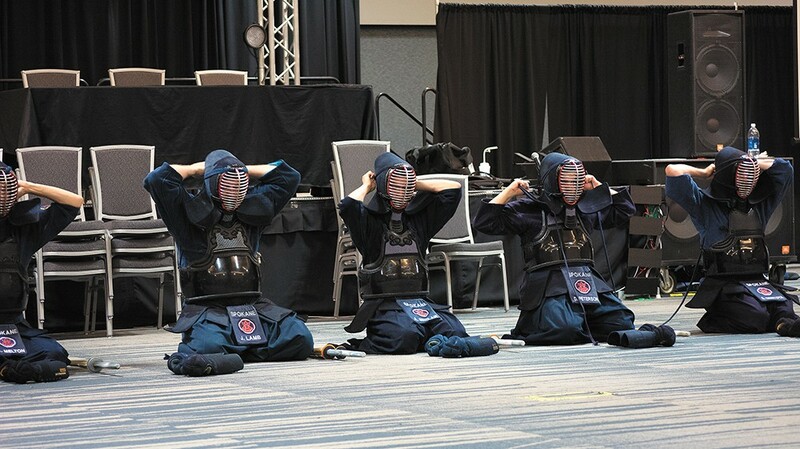 If you missed out, don't fear: The nonprofit behind the con puts on events all year, and you can watch for what's coming up next year at KuroNekoCon.com.